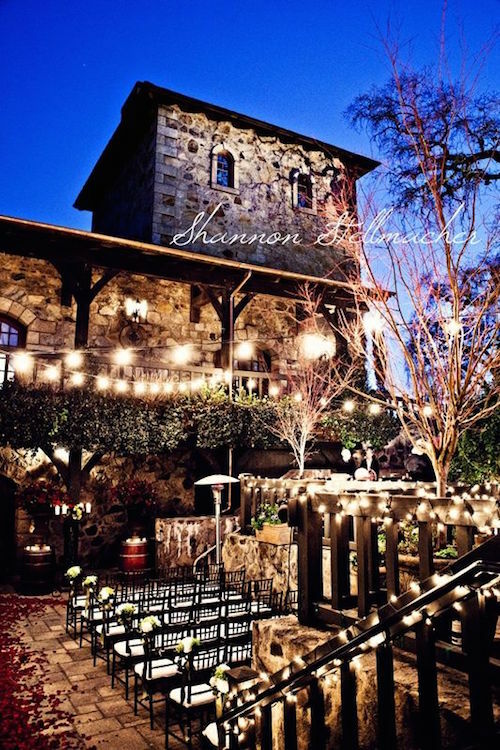 How to Choose a Wedding Venue: Awesome Wedding Planning Tips! About to choose a wedding venue? 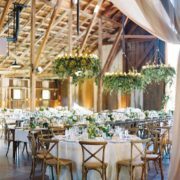 Stop and read these wedding planning tips to help you land the venue that fits your budget, style and all of your guests! Florida wedding venue. Ancient Spanish Monastery in North Miami Beach. 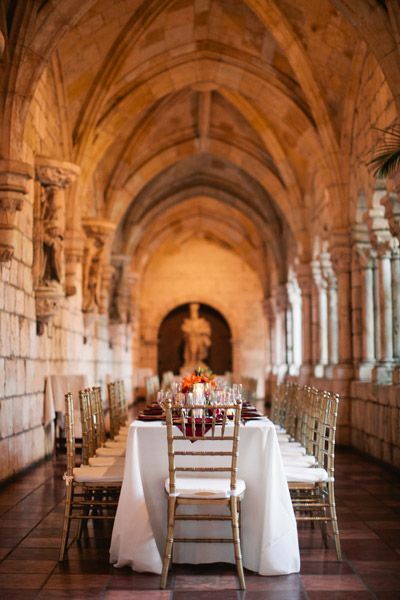 How to Choose a Wedding Venue: It’s Definition Time! Before starting to look for the ideal venue you must define four things: the date, your wedding style, the number of guests, and your budget. First of all, pick a date. You will need to check if the place you picked is available on that date before even considering touring the venue. So, the date will definitely will be one of your filters. If budget is a concern, keep in mind that prices are more affordable from Sunday to Thursday and higher on Friday and Saturday as well as during peak wedding season. If you’re not getting married on-site, check in dates with your church or City Hall first before booking the reception venue. Date: Check! Intimate weddings are very much on trend. Organic and intimate destination wedding in Italy. Next, the wedding style. 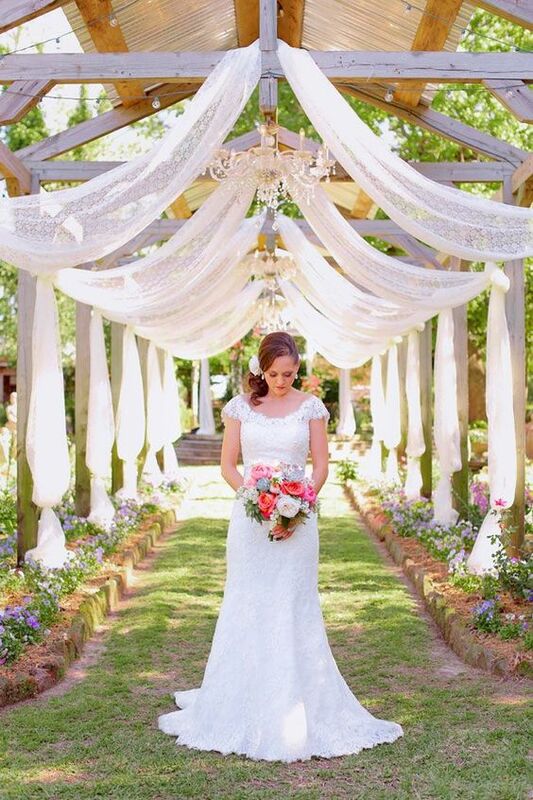 The wedding venue you pick will help you define and frame your wedding theme. If you are looking for a summery vibe to your reception, consider a country, garden, or beach wedding. Modern couples can look into lofts, warehouses, art galleries. Check out these modern industrial raw spaces if you live in New York! Remember that when you engage a raw space, the rentals do not come included in the package. Consider all the extras in the price for a more fair comparison between wedding venues. 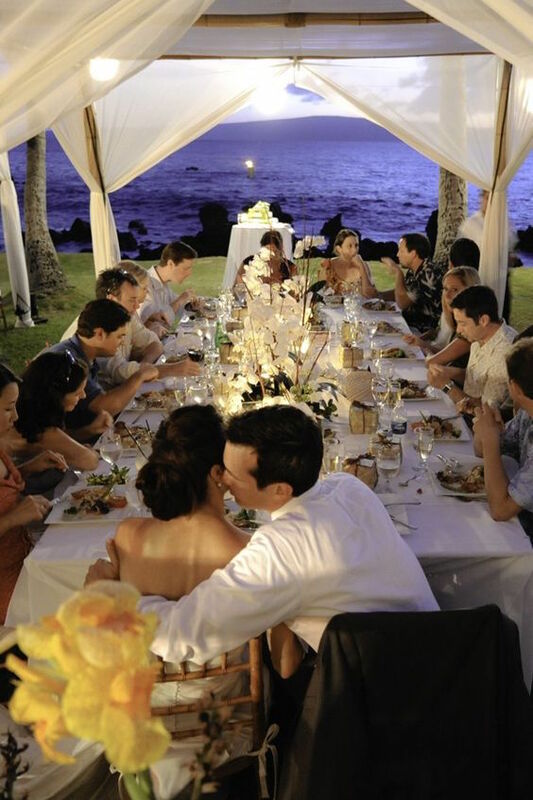 Plan an unforgettable wedding! 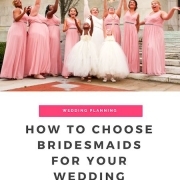 Find out how to choose a wedding venue step by step. Wedding photographer: Lauren Conrad Photography. Now, let’s estimate the guest count. It is highly recommended that you build a preliminary count which you can adjust later. Reception venues will ask you for this number in order to give you a quote. You will also use the guest count to perform your preliminary research. Be mindful of the fact that there are always last minute additions and that just because a venue tells you it can fit 150 people, it does not mean you have to cram them all up. 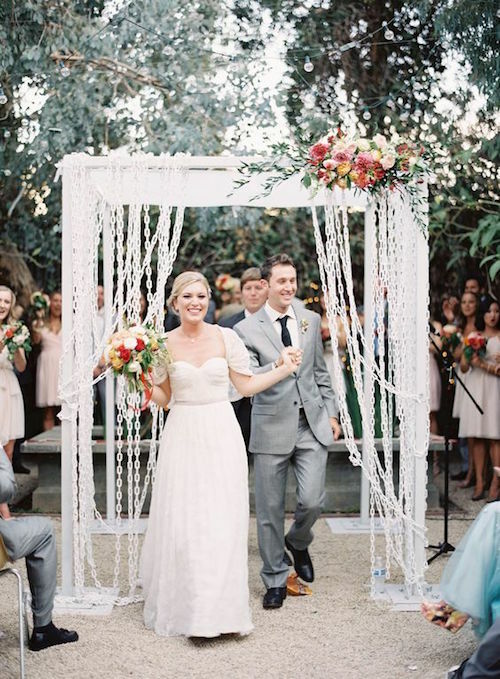 Make sure there will be space for your chain link Chuppah! Huron Substation, Los Angeles, CA. Wedding photographer: Jen Huang Photography. 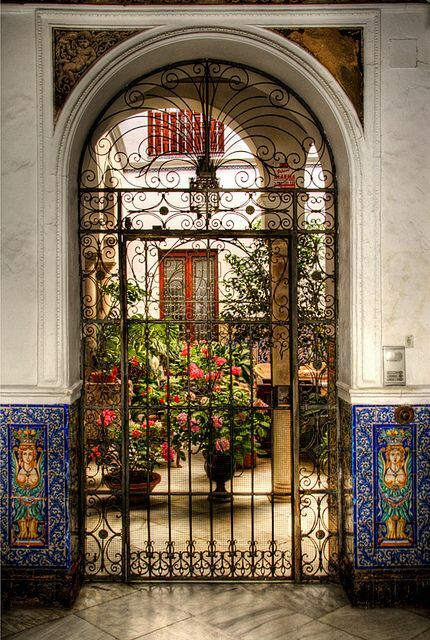 Imagine your reception at a place like the Patio del barrio de Santa Cruz, Sevilla. Yes! Let’s bring Google back! The first step is collecting all of the information available to you about the potential wedding venues. Try not to overwhelm yourself with too many event spaces. Start with a few reception places and go from there. Stay organized by building a spreadsheet, it will help you figure out who you’d like to visit in person. Remember, you still have a few more steps to go. Try to find the following information from each venue’s website: Name of the venue, address, website, phone number & other contact information, capacity, pricing Information, and why you liked it. It is likely that not all of this information will be available on the website; and you may need to call or email the venue to get everything you need. At least by collecting all of this information you can compare them side by side. Marquee monogram for the dessert table at a backyard wedding venue. 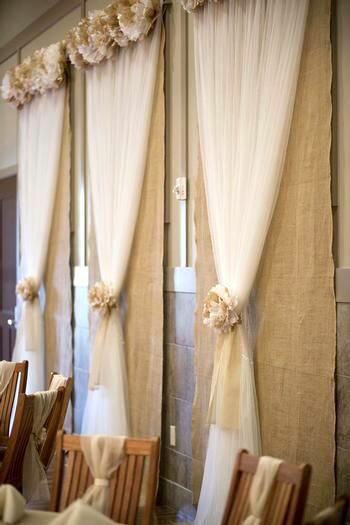 Burlap and tulle window covers with rosettes. Done with coral and ivory flowers. 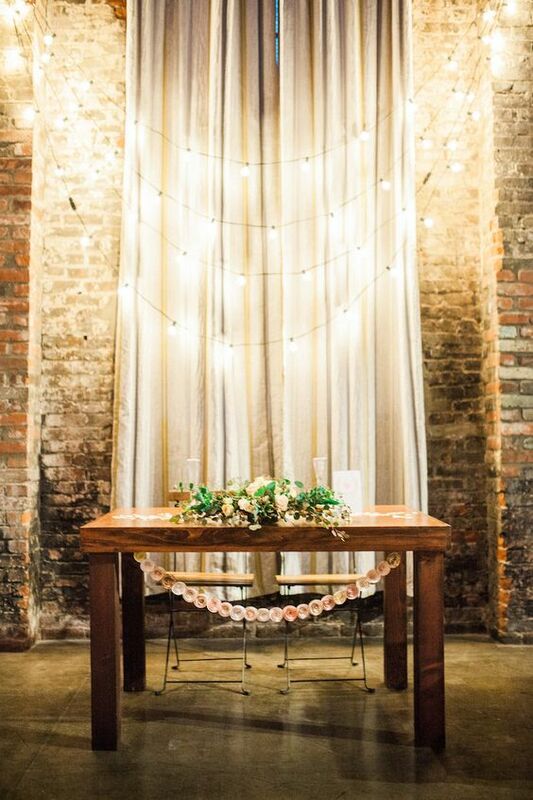 An easy and cheap idea to help cover windows if the reception space is too bright. Now, let’s boil down your list to a manageable size. Email or call the prospective spaces and find out if they are available on your date. If so, coordinate an in-person visit, preferably when it’s set up for a wedding. It will give you a better idea of the space available. Ask them if you’ll have exclusive use of the venue on that day. Every banquet hall or wedding venue differs in the amount of privacy provided. Some offer separate bathrooms and dressing rooms, some share the parking space area. If you are getting married in a public space, you’d better make your piece with strangers stopping by and giving you their good wishes. Ask as many questions as possible beforehand so you can concentrate on visualizing your wedding and checking those details you have to verify in person. The Gavioli Chapel in Eureka Springs is a unique ceremony choice for couples looking for an impressive setting for their wedding. 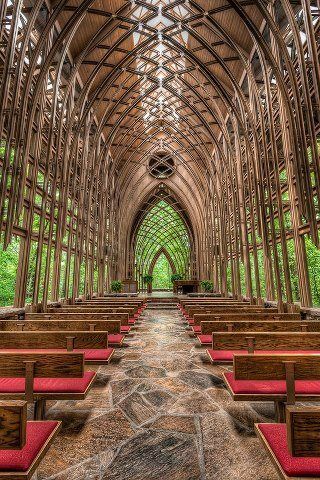 Chapel in the Woods, Arkansas. Wedding Venue. With this small checklist you are ready to go and choose a wedding venue that is perfect for you! Huron SubStation, Los Angeles, CA. So you have an appointment with a venue on-site coordinator. You want to make sure this time is well-spent, so what should you ask? Start by making sure you can fill in all the blanks of the spreadsheet you created. Here are a few more questions that will help you choose a wedding venue that fits your requirements. Is there a bridal-changing area? How much parking is available? Is valet parking an option? If the parking is limited, is there nearby parking available? Ensure it is easy for the guests to arrive comfortably to your wedding. They will thank you for it. Is the venue handicap accessible? Make sure everyone feels welcomed. How many bathrooms are available and what is their capacity? 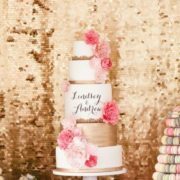 Make sure that there is space for all the activities and details that you have planned for your wedding: the guestbook signing, the dinner, the cocktails, the dessert table and the cake, the dance floor, the band, the photo booth and a few lounging areas! If your guests will travel to your wedding you need to offer them lodging. Find out if the wedding venue has at least a couple of hotels nearby with available rooms. Your guests will really appreciate if you offer them a third and cheaper option. Grace Loves Lace are renowned for creating effortlessly unique, luxurious designs for the modern bride. Designed & handmade in Australia. What time can vendors arrive to start setting up and then dismantling the wedding decor? 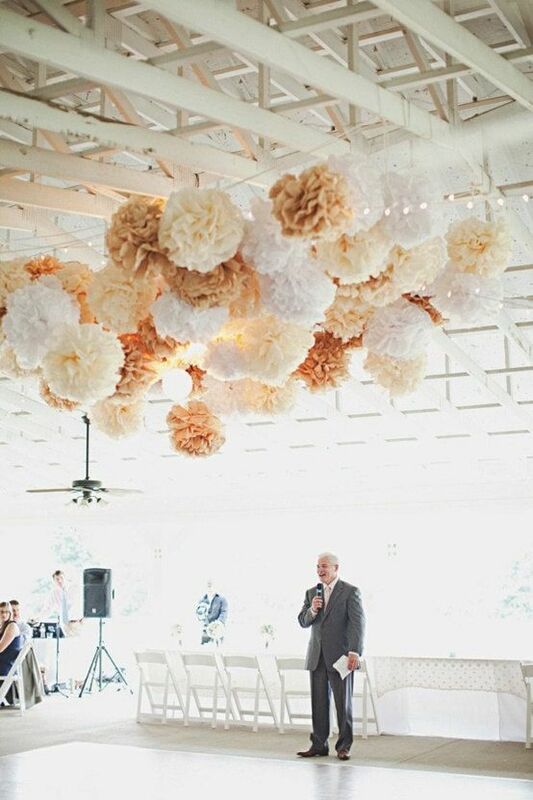 What are the wedding decor restrictions? Are there any guidelines, restrictions or policies on using real candles? Is it a raw space? If not, what table and chair styles do they provide? Do you need a special permit for your wedding arch? Is the venue licensed for providing or servicing alcohol? Is there hirable bar staff? What is the rate for the staff, service, and drink? Are there any noise ordinances you need to respect? If the venue does not allow for music after 10pm and you plan to continue the party until the wee hours of the morning, that’s not a good fit. Unless you plan on an after-party somewhere else. Is there a contingency plan provided by the fabulous vineyard in case it rains? An indoor space or a tent? 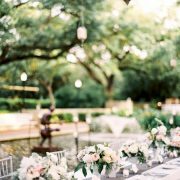 If you would like to host a romantic wedding, a daytime wedding or a cocktail at sunset, check that the place can provide you with the lighting you want and need. How far is it from the church? Or is there a space to celebrate the religious ceremony? Allow for space for the waiters to serve your guests. 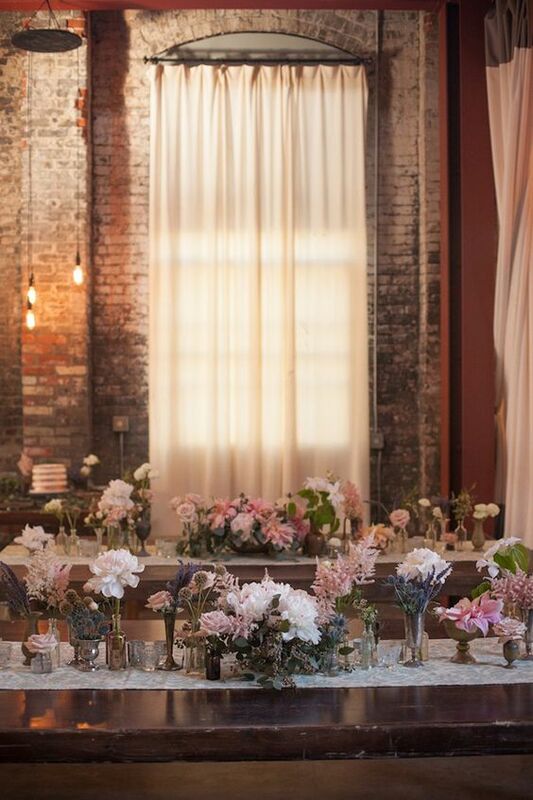 Love this tablescape shot! The pops of color are terrific. Wedding photographer: Jen Huang Photography. How to choose a wedding venue step by step. 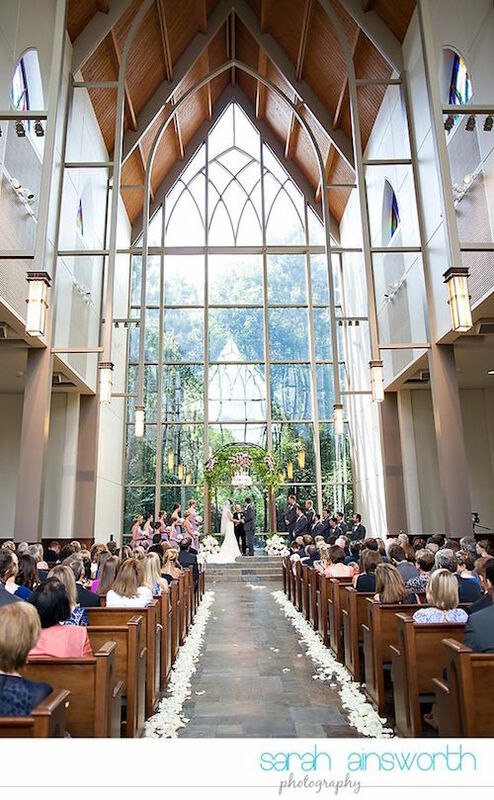 Chapel in the Woods, The Woodlands, TX wedding venue. Wedding photographer: Sara Answorth photography. Are there discounts available for booking off-season or on Sunday through Friday? What are the terms of the deposit? Is it refundable and when is it due? 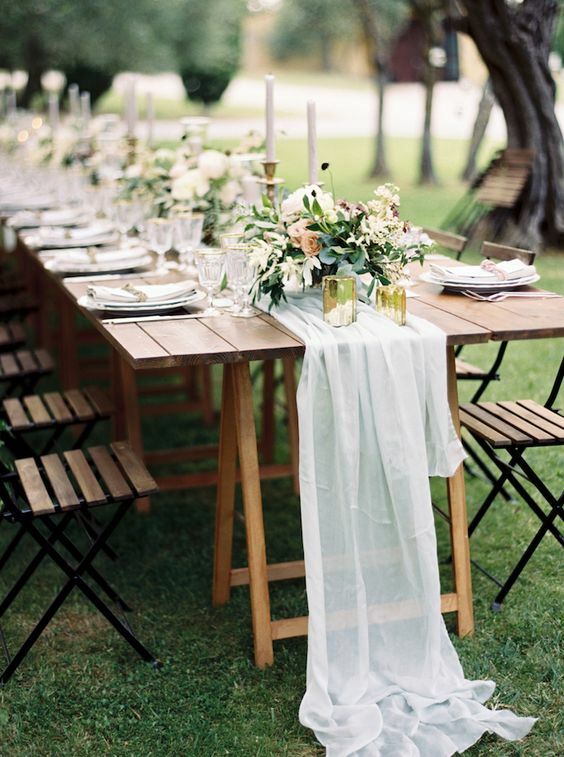 Are rentals (tables, chairs, linens, table clothes, or glassware) included in the price? If so, which ones? Make sure when you are looking for potential venues that you clearly understand what’s included and what isn’t. Examples of this are catering and wedding menus, beverages, and centerpieces. Are there any vendor restrictions? If the venue offers catering in-house, find out if you can do a tasting before the wedding. Don’t book the first venue you see, even if you fall in love with it. Choose at least three or four wedding venues that fit your budget and wedding style and ask for quotes. Be prepared to take notes and lots of photos! Ask for the wedding venue quotes. Make sure you get as much information as possible to choose a wedding venue that you will be happy with. It’s your day, after all! Succulents and white roses adorn this chic boho wedding in California. Their quaint, yet ultra stylish venue at Seven4One offered the perfect one-of-a-kind circular ceremony space for their intimate nuptials. All venues will help you find out how many guests can fit in a banquet hall or reception venue for different seating plans. 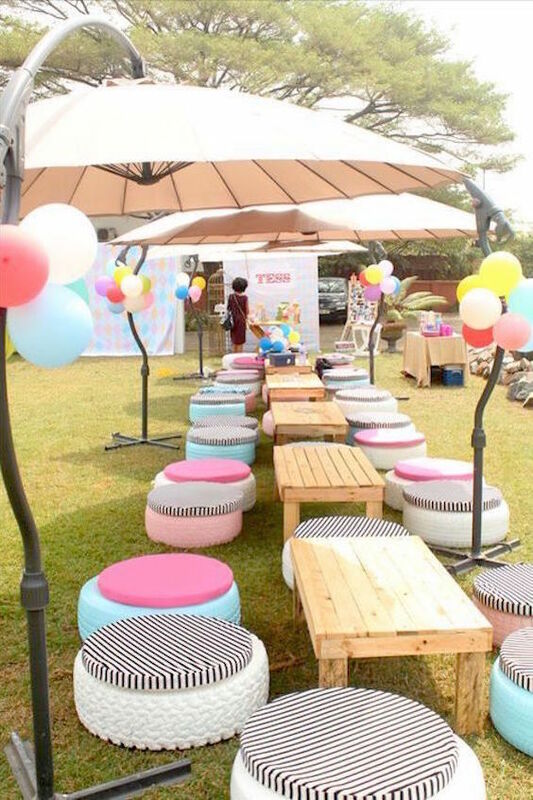 But, if you are holding your wedding affair at home, in a garden or at another outdoor venue, it is useful to know how to calculate how many guests can be accommodated in a given space. You do not want your guests feeling cramped at your wedding. Measure the length and the width of the area in feet. Multiply the two numbers together to get the area in square feet. If the space is uneven, you need to break it up into squares, rectangles or triangles, calculate the area for each and then add them up. Now divide this number by 2 as you may safely estimate that 50% of the area will be used for aisles, staging, waiters, dance floor, catering stations, and other. The remaining area will accommodate your guests. 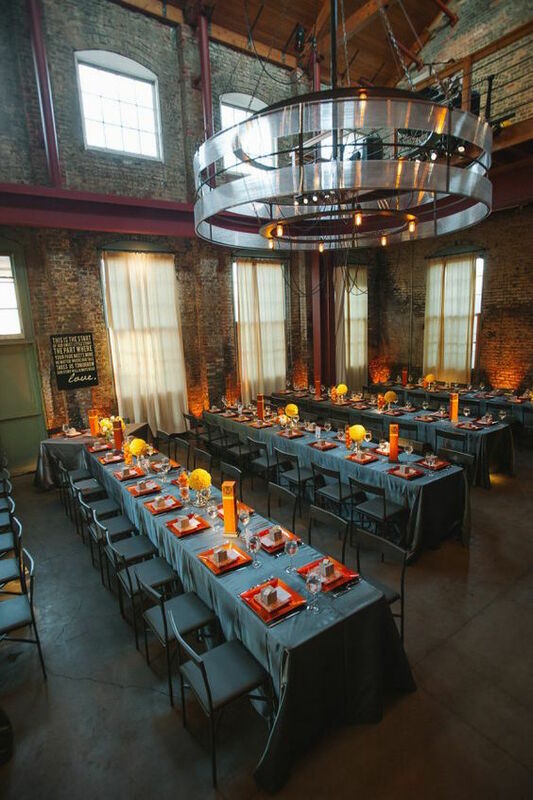 Non-traditional couples may look for unique and eclectic event spaces such as this one. Wedding photography: Colin Cowie Weddings. 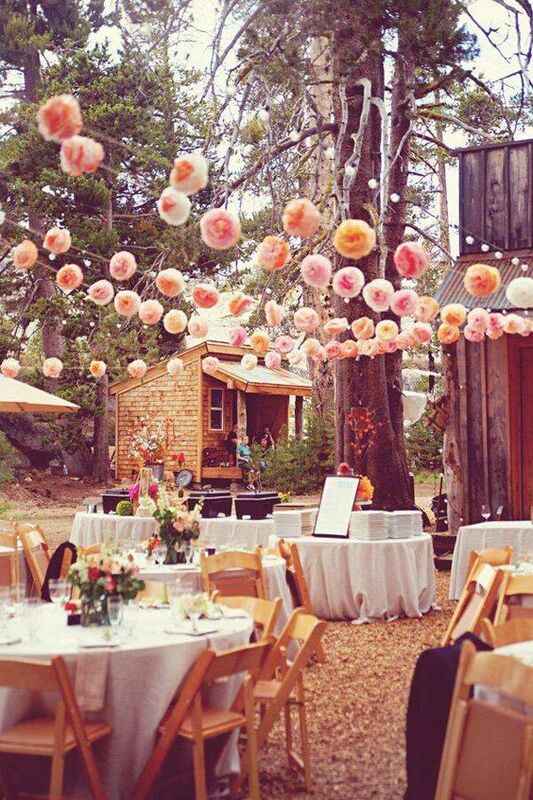 Wedding ceremony decor for raw spaces. 40 tissue paper poms. * For every round banquet table that seats 10 people, calculate 30 square feet. * Calculate 3 square feet per person for a stand-up reception. However, each room or space is different. You need to take into account the shape, locations of doors, fire exits, columns; buffet dinner or seated dinner set up, and so on. 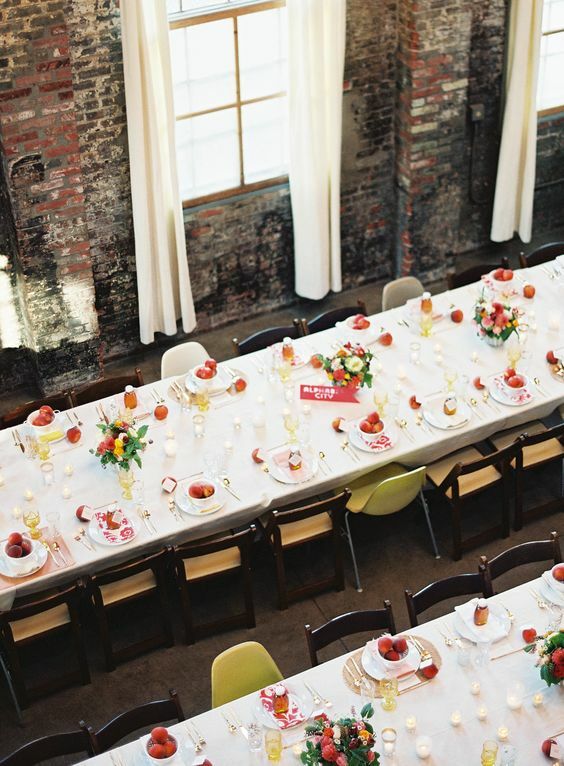 As a rule of thumb, 1,000 square feet is adequate for 80 wedding guests at a sit-down wedding. For each ten additional guests, add an additional 200 square feet of space. With this small checklist you are ready to go and choose a wedding venue that is perfect for you. Just one last piece of advice, once you have set your reception hall budget don’t go see places that far exceed it. 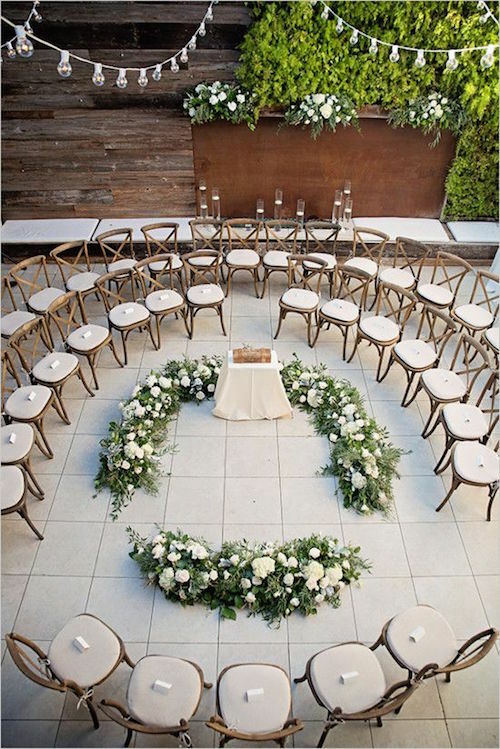 And now, let’s read about wedding reception seating! An amazing background for a one of a kind wedding venue. 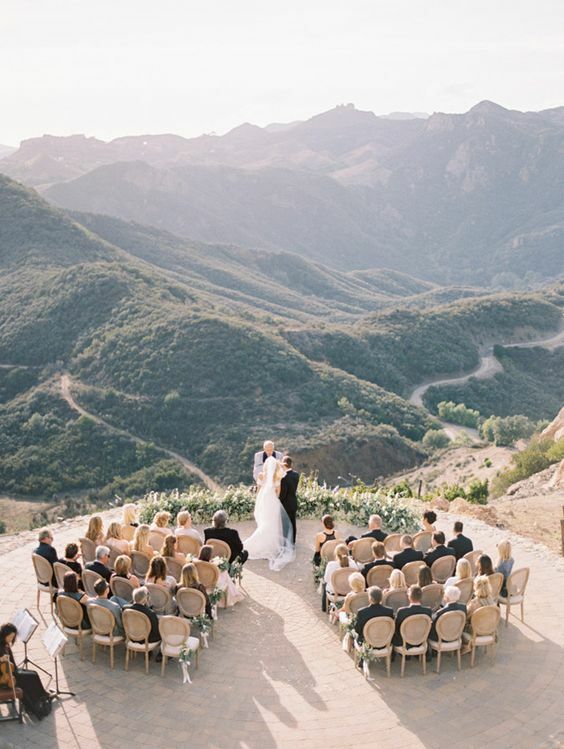 Ditch your big venue for an intimate ceremony in your own backyard! 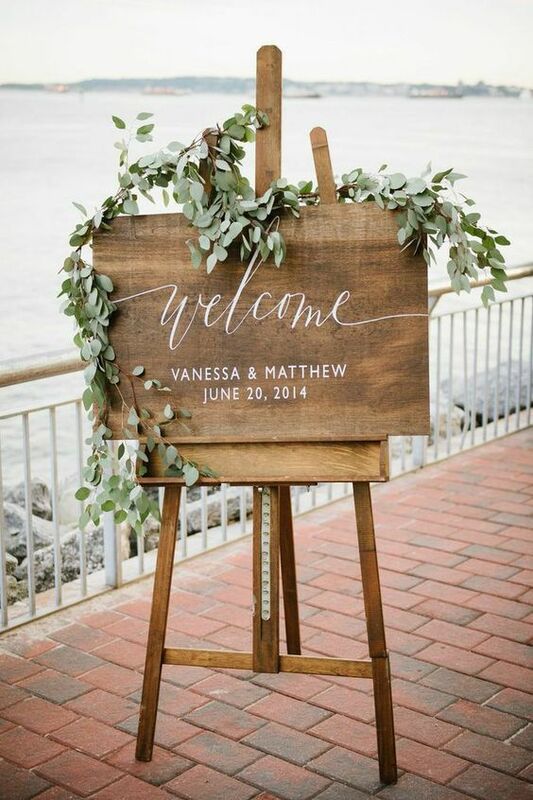 Wedding sign to welcome your guests. 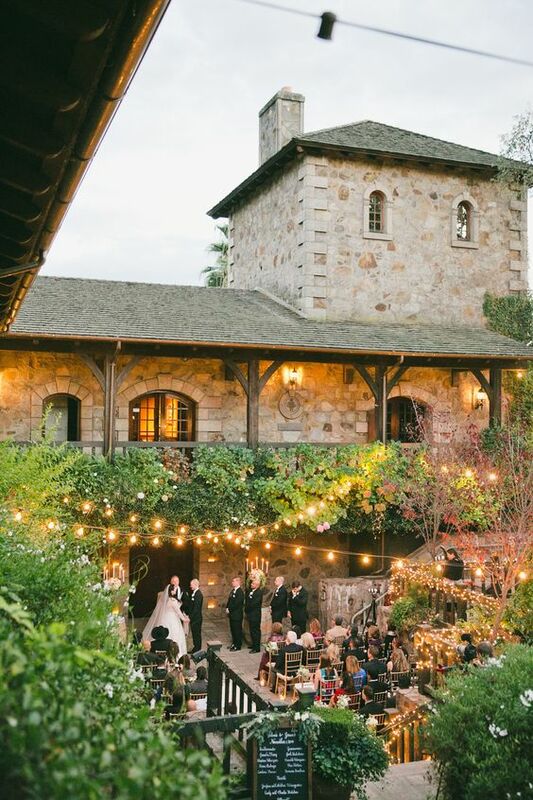 Find out how to choose a wedding venue no matter what your ceremony style. Wedding photography: The Nichols wedding Venue. Boot Ranch. 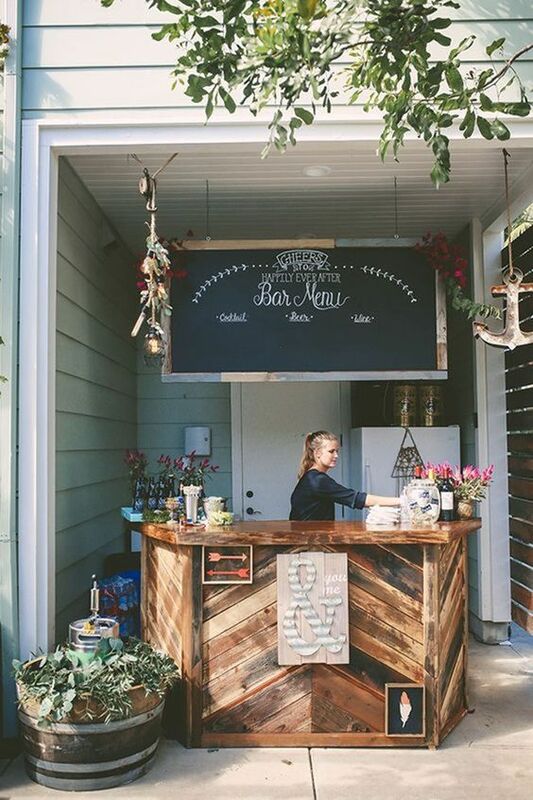 Fun and intimate backyard wedding. 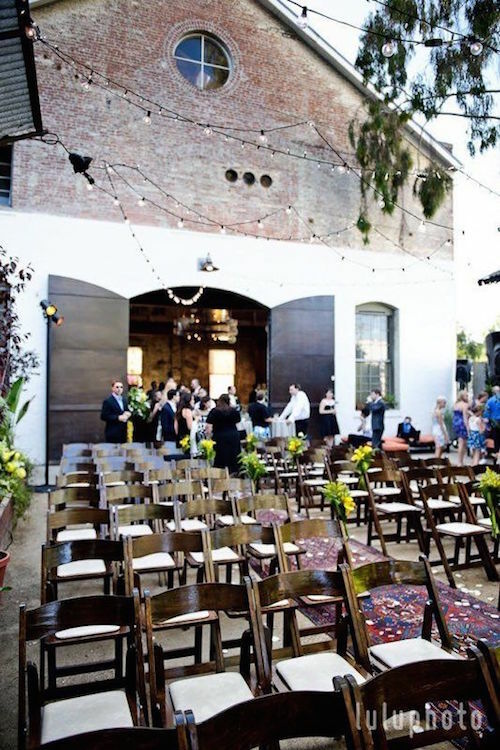 Huron SubStation, a stunning wedding venue in Los Angeles. 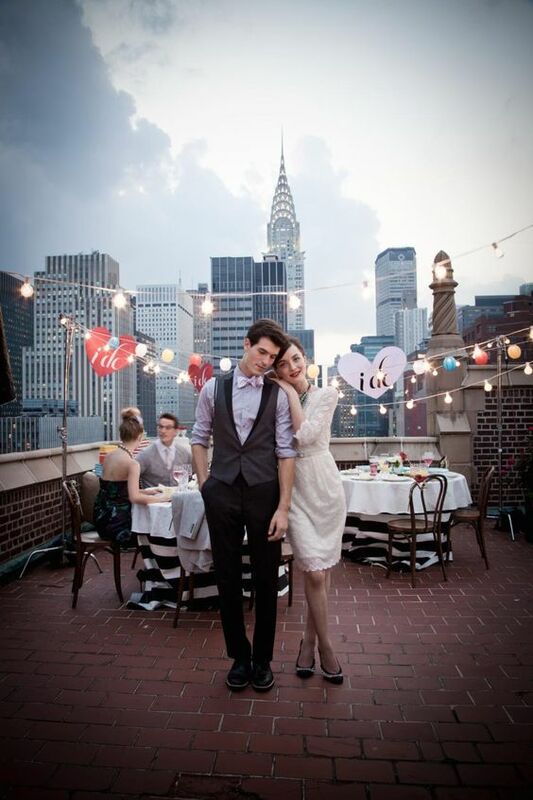 Love the elite look of this New York wedding. 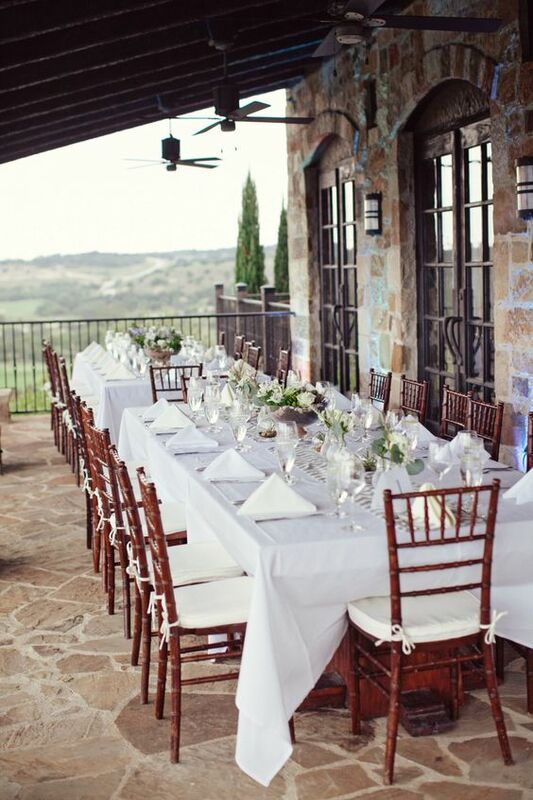 Lovely and stylish Texas wedding venue. Simple but elegant wedding layout. Make sure you clearly understand what’s included and what isn’t. 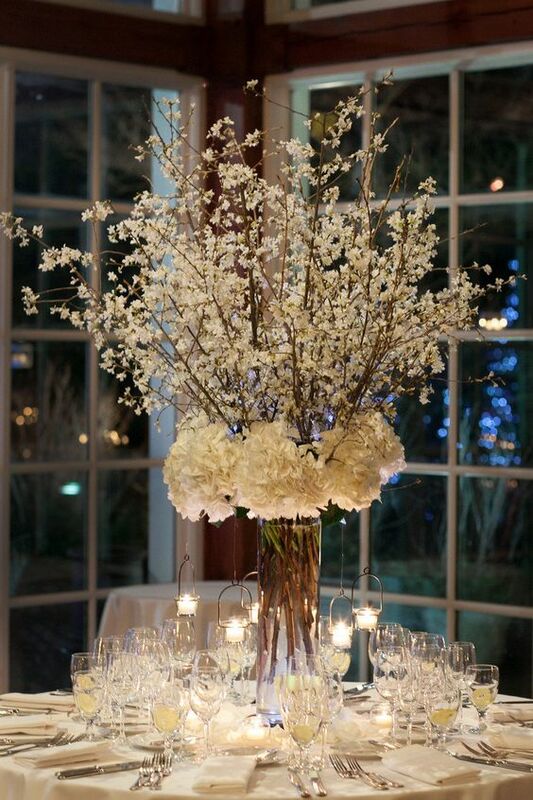 Will the reception venue provide the centerpieces? A perfect location for a beach wedding. The wedding venue you pick will help you define and frame your wedding theme. 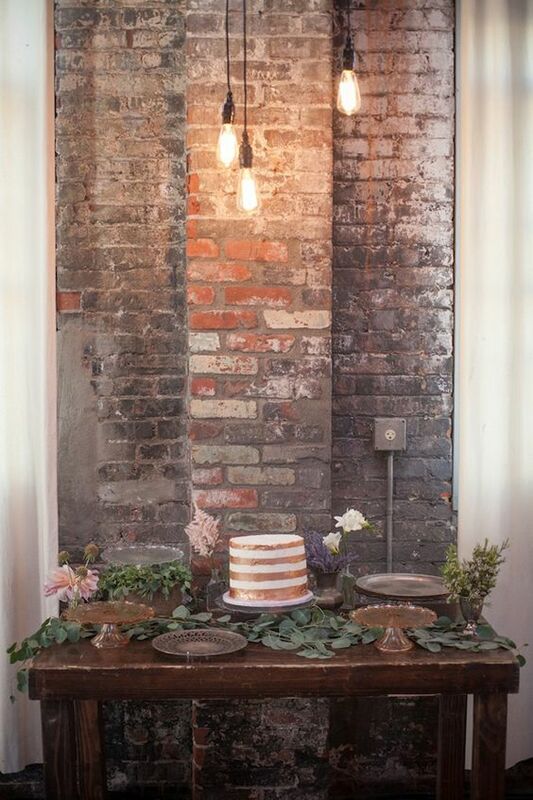 Sweet and simple cake table setup. Wedding planning advice: How to choose your wedding venue. 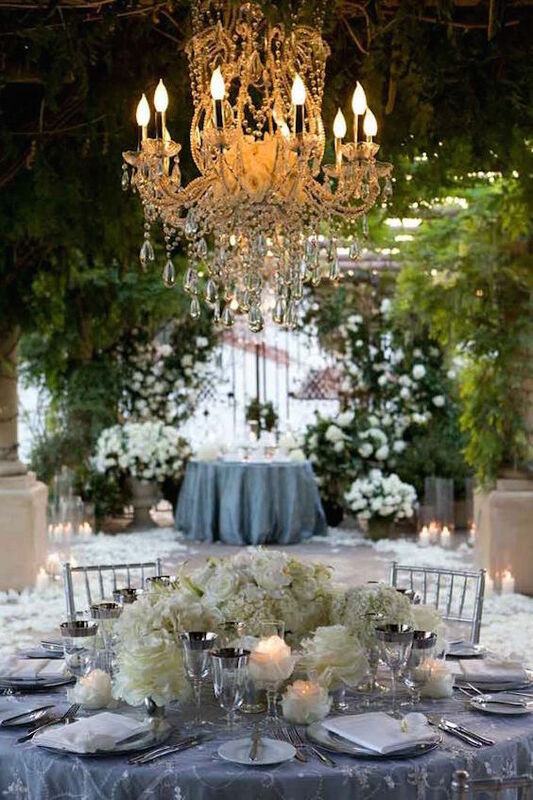 A chandelier makes all the difference at this intimate affair. 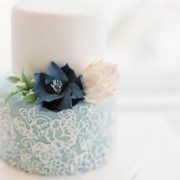 Photography credits: Borrowed & Blue weddings, OnceWed, WeddingChicks, Brit Morin. 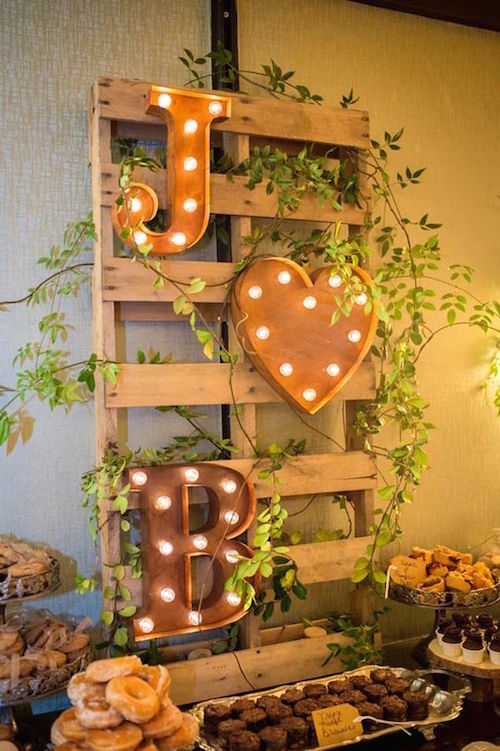 10 Wedding Night Ideas (and Tips) to Make it Unforgettable! 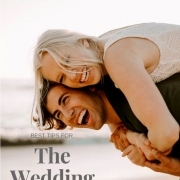 Getting married in June ’18 and this guide definitely comes in handy!! Thank you!!! So happy to hear!!! Mazeltov!!! I do like that the article reminds readers to take the guest count into consideration when choosing a venue. After all, whether it is a chapel, a library, or even a train station, you want to make sure that there is enough room for your guests. Of course, you also want to double check the maximum occupancy for the venue as well so that you can make sure you’re following fire code. Thank you, Callum!! Would you like to collaborate with us? We’d love to interview you! Thanks for going over some tips for a wedding. I actually didn’t know that there could be some wedding restrictions, like if you need a permit for a wedding arch. It definitely sounds beneficial to do a lot of research beforehand so that you know what to expect, or even to make any changes that would affect your plans. Thank you so much! It’s pretty complex to organize a wedding. So much to watch out for! My cousin is getting married in a few months, but he still can’t decide on a venue for the reception. I like that you suggest picking a style and theme for your wedding before you choose a venue. I agree that the reception location should match the theme so I’ll be sure to suggest this to him and his bride. Thanks for sharing! Thank you Derek!! So happy it’s helpful! Thank you for mentioning how you need to define your wedding style before choosing a wedding venue. It is important to understand that doing some research can help you find the best one for your needs. My son is getting married in a few months and they want to find the best location to hold their reception, so I’m glad I found your post. Choosing the right wedding venue is one of the most important parts of a wedding. If you have a wedding theme then you must choose your venue according to your theme. Finally thanks for sharing these wedding tips with us. It was worth reading. My fiance and I are looking for the best destination venue we can use for our wedding. So I like your tip to make sure the place you choose has a place we could go in case the weather outside isn’t the nicest. Since we are planning to have our wedding outside, we will be sure to find a destination venue that will be able to offer us a space indoors if the weather is bad. Thank you, Ashley for the kind comment!! 🙂 Wishing you a wonderful destination wedding!!! 8 Unique Wedding Venues in Los Angeles: Coolest Places to Get Married in L.A.